Premium, real leather w/ chrome hardwareFits 145-215 mm wristsEasy to install, no tools requiredWorks with all 42 mm Apple Watch collectionsWorks with X-Doria Defense Edge and X-Doria Revel.. The use of machined metal instead of plastic provides military-grade drop protection without the bulk . Drop tested to survive 9.9’ (3M) drops on concrete, Defense Shield is the ultimate way to protect but not cover up, your Galaxy S9+. 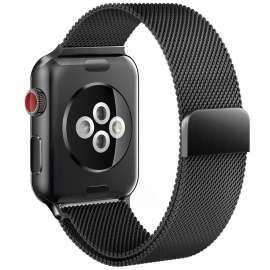 A heavy-duty, machined aluminum bumper protects the perimeter of your device, while inside, soft rubber wraps..
Top stainless steel mesh loop in business black color, really dressed up your apple watch Black mesh loop with durable adapters, very comfortable to wear and easy to install. Fit for all 42mm versions of the watch series 3 series 2 and series 1,fit wrist size: 6.15 Inch - 10.35 Inch We don't recommend you use this black Milanese b..
Defense Edge 42mm Apple Watch protector cases combine a durable machined aluminum exterior and a soft rubber lining to protect the edges from scratches and impacts. With an easy to snap on design and a variety of fun color, Defense Edge is the perfect way to personalize your watch. X-Doria Apple Watch Accessories are engineered with the finest.. 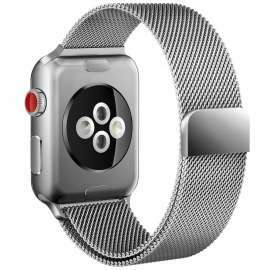 Product Description The Action Band by X-Doria is the most comfortable and durable replacement band for Apple Watch. Made from high-performance silicon, this apple watch sport band is perfect for tracking your miles at the gym, or keeping you connected throughout your active day. ..